OnePlus 6 Initial Slow Motion Samples! There has been a lot of excitement about the OnePlus 6 for the past two weeks and while the slow motion feature is not the first feature you look for, it may be the biggest deal in phone slow motion in several years. The duration eclipses the competition by leaps and bounds at 3.75 seconds of recording vs 0.2s or 0.4s for the competition. Over the last four weeks testing and shooting with the edgertronic high speed camera we have a complete sense of the capabilities, strength and weaknesses that make up this kit. The portability of the setup with wireless router connectivity makes it a joy to go out and shoot nature and locations out of the studio. 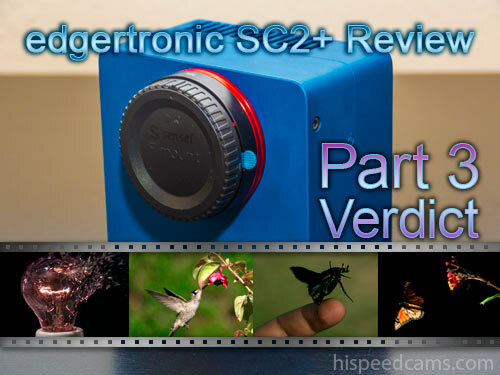 In Part 1 of this review we looked at the body and design of the edgertronic SC2+ camera. 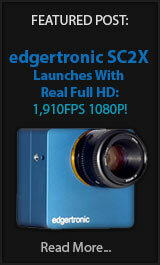 Touched on the mount and available frame rates including a few new changes and some video samples. Part two is all about using and understanding the abilities and limitations of the camera as a high speed tool for science, film and or curiosity. 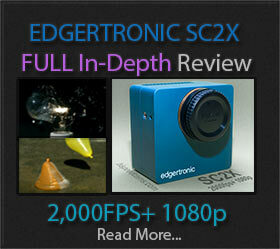 Last year we reviewed the edgertronic affordable high speed camera “Now named edgertronic SC1” . The first edgertronic was revolutionary in price and features and was a big disruptor in the slow motion camera space as many competitors that offered essentially the same performance, were left with price tags several orders of magnitude higher which many customers balked at . Metabones the company that brought you the speed booster and one of the first to offer electronic lens compatibility including AF for Canon lenses on mounts like Sony E Mount and Panasonic/Olympus micro 4/3rds has updated the firmware on these to have better overall compatibility with AF modes on newer cameras. Kipon MFT to EF Adapter v2.5 Review! 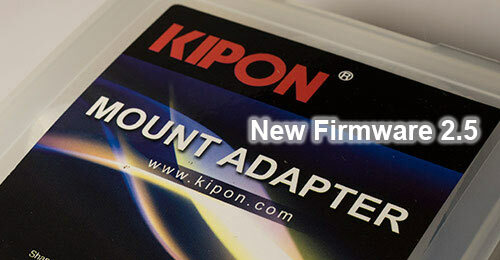 NEW Update: Kipon has released Firmware 2.5 fixing a lot of adapter issues. Scroll below for new info! This mount adapter converts Canon EF and EF-S lenses to a micro four thirds mount and permits electronic aperture, auto focus and image stabilization on lenses that support it. Cameras that use a MFT mount like the GH4 and Olympus OMD can now use Canon glass with all the features bundled with the lenses.